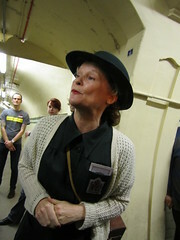 I was the one of the 3,000 lucky people to get a ticket to the re-opening of Aldwych London Underground station & experience a re-creation of the Blitz. 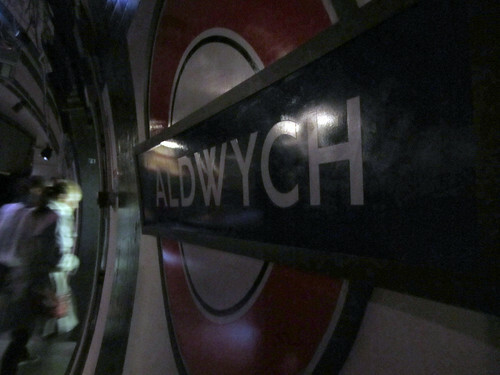 Aldwych was one of the 50 Tube stations used as a shelter when bombs were dropped 70 years ago. 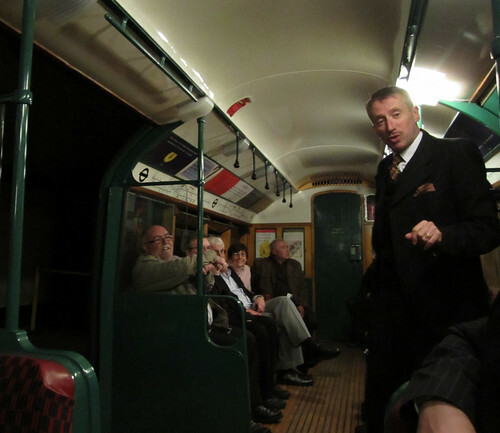 We were about to learn how the Tube became a temporary home for thousands of people. 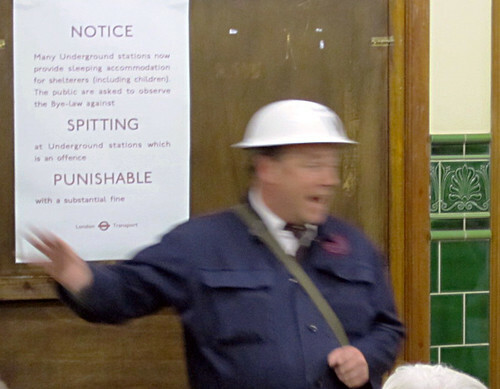 When we were given the health & safety instructions in the booking hall, there were many exited "Oooh's" on hearing that one of the emergency exits would be along the tunnel to Holborn station. Luckily (or perhaps unluckily in terms of photo opportunities) all went smoothly! Down the 160 steps to platform level we were greeted by chirpy and slightly officious WVS volunteer who was in charge of the shelter. 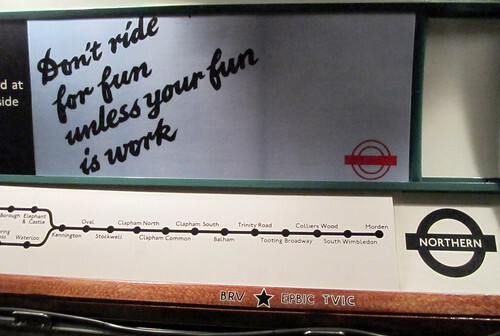 She explained in character how Londoners weren't running scared or cowardly leaving the capital, but taking over the stations, even though this was initially discouraged by the authorities. 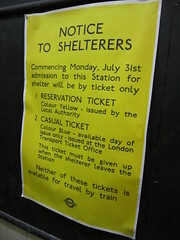 Many Londoners felt more secure here than in other shelters, even though more than 50 people sheltering were killed when a bomb fell on Bank station in 1941. I would loved to have had more of a sense of the crowding, smell & claustrophobic conditions, and what it would have been like sleeping on tracks and escalators. 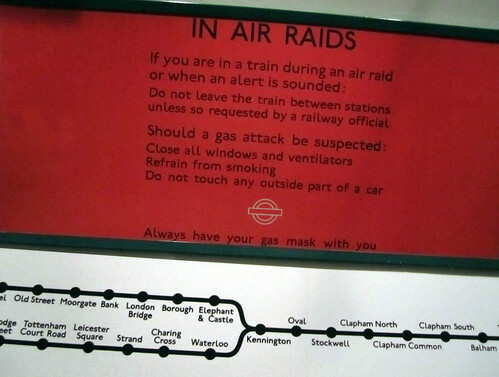 However, there are many pictures of this on display at the London Transport Museum in their "Under Attack" exhibition. 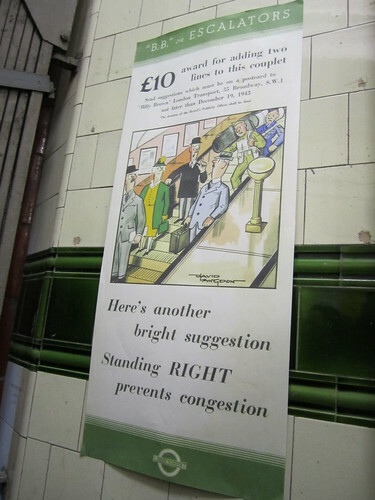 At the darkened platform level we were led into a 1938 Tube train, decked out with many wartime adverts. 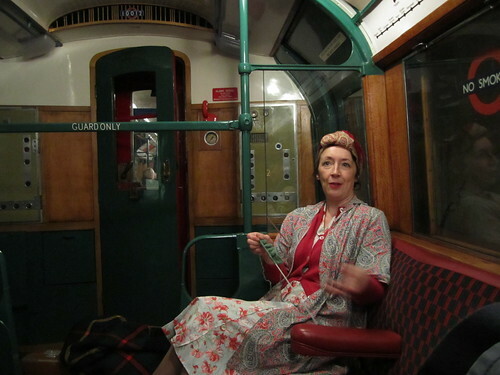 We met two more actors - a Spiv telling saucy tales about bloomers and trying to sell us nylons and a housewife, who gave more of a sense of that "Spirit of the Blitz" and how people got along together & took up their spots on the escalators, platforms or tracks. Even though one carriage had recordings of stories of people who were sheltering on the Tube as children, I still found it hard to get a sense of what it was really like. That was until the lights started flashing outside and we heard the air raid siren. By then we were back with the chirpy WVS lady, who sounded considerably less chirpy and worried. We were told to move onto the platform and as the actors anxiously stood in the train doorways, we heard a recreation of the bombs overhead. 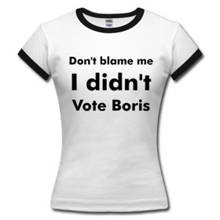 I had relatives who lived in the outskirts of London during the 2nd World War and I remember many of their war stories. I think they tended to remember all of the good stuff and very little of the fear. They were completely used to grabbing their gas masks, doing the nightly blackouts, going down into shelters and catching up on gossip & news. Standing on the platform in the darkness, with the noise and the look of worry & uncertainly in people's eyes, I found it hard to see how people could ever got "used" to being in the war. The Spiv, housewife & WVS lady brightened the mood by getting everyone to sing "It's a Long Way to Tipperrary" and there was a noticeable relief when the All Clear sounded. A Big Brother style announcement then reminded us that in September 1940 over 5,000 were killed in the Blitz, 9,000 seriously injured and half a million were made homeless. It was a very moving moment and even though the announcement about the exhibitions at City Hall & London Transport Museum ruined the mood a little, I felt the whole experience was well worth the entrance fee. 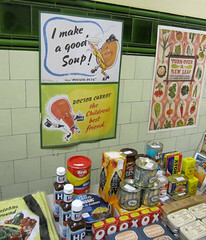 After climbing the 160 spiral stairs up, there were books, souvenirs and wartime food on sale. I liked the little touches of signs about counterfeit notes & ration books jostling with signs about credit cards! 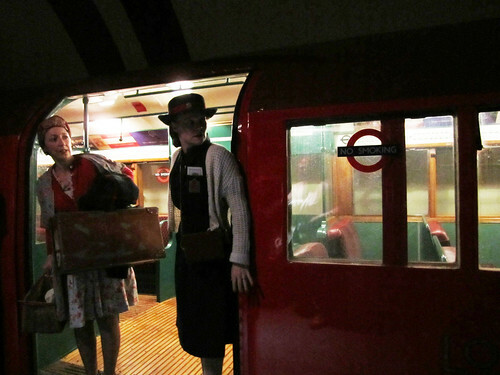 I really hope London Transport Museum run more events like this and use more closed stations in the future. The demand is certainly there and it was a fascinationg hour, not just for Tube geeks! The rest of my photos from the Aldwych tour are here and you might also like to read posts from IanVisits, Peter Watts and Darryl Chamberlain. Please feel free to share any blog posts or links to photos you took of the event.